Civic Center Residents Coalition NYC: Chinese New Year Festivities Continue this Saturday - Chinatown Community Young Lions closes in on 40 years! Chinese New Year Festivities Continue this Saturday - Chinatown Community Young Lions closes in on 40 years! 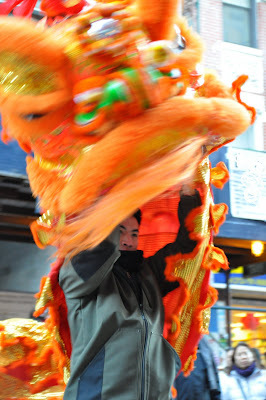 Chinese New Year celebrations are continuing tomorrow, Saturday Feb. 12th in Chinatown. 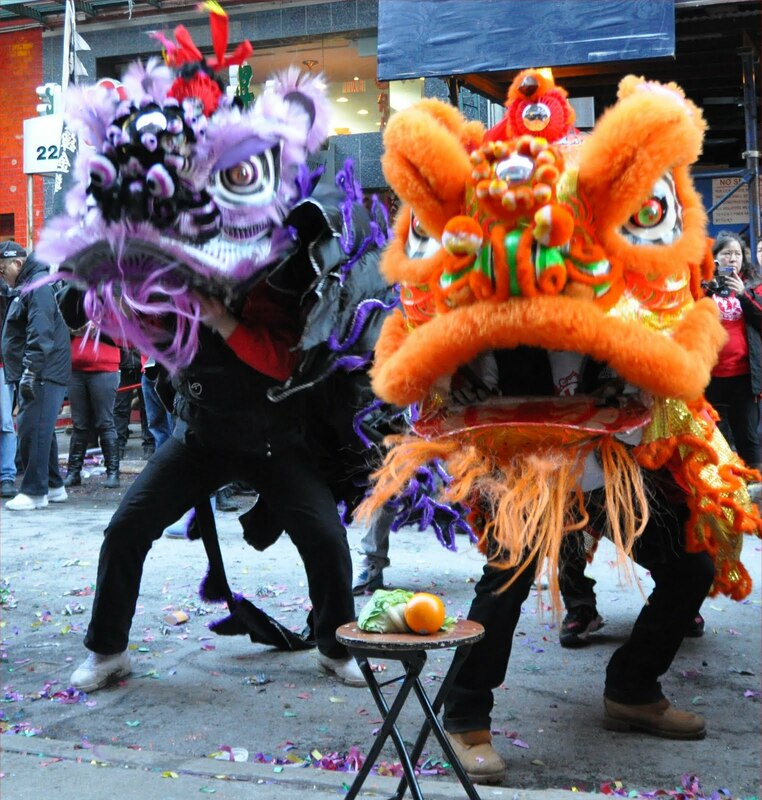 Once again the fierce lions and dragons will wind their way through the streets of Chinatown doing their best to ward off evil spirits and cleanse the path into the new year. Why: because New York is privileged to witness living history in the streets of Chinatown during this time of year. Among the troupes in the parade is The Chinatown Community Young Lions, of which I am a director . Founded my by sister Valerie Tom in 1972, the troupe has become recognized as a vital teaching institution, mentoring program, and safe haven from the streets for thousands of urban youths over the nearly four decades of its existence. Valerie, a former”NY1 New Yorker of the week” explains “when my son told me that he wanted to learn lion dance I found that he had to join a kung fu school, or a family association at that time in the early seventies. Those either had tuitions, or were affiliated with gang activity. So a friend of mine from the neighborhood who owned a restaurant, when he saw that my kids and their friends could play and wanted to perform, brought out some old lion heads and a drum and gave them to us”. Little did he know that that gesture would plant the seed for what has become one of Chinatown’s anomalies, a group of largely American born Chinese, including African Americans, Jewish and Puerto Ricans, not only learning and perfecting the drum beats and dance steps of Toi Sahn villages, but remaining faithful to the group’s mission which was to become a safe haven away from the bad elements of the street. Existing for nearly forty years fully dependent on talent alone to get them through, the group has struggled from time to time debating about the future of “the club”. Having 501 3C status has helped over the years. Members pay no dues and are free to come and go, most stay however, and the founding members are raising their children to learn the culture and traditions of the most important holiday in the Chinese culture through lion dance. The teachers and directors all volunteer their time and resources. When the City Of New York doubled the rent on a space used by the club for over three decades in a DCAS operated building CCYL was forced to leave, so I carved out space in my showroom in Brooklyn for them to store their equipment. 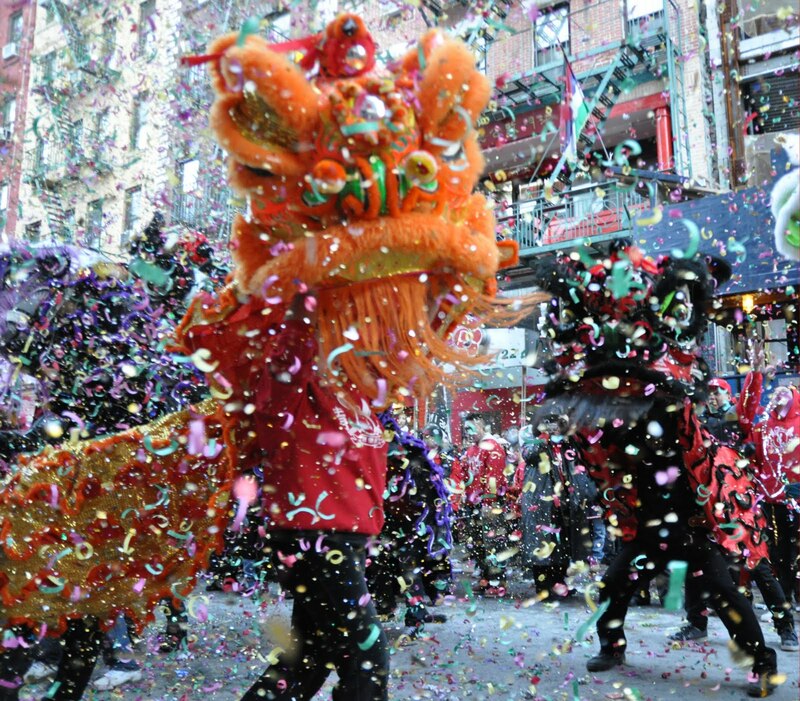 This February the club practiced on the sidewalks of DUMBO, Brooklyn to prepare for the parade in Chinatown. The lion dance itself dates back to the early dynastic era and differs widely from Northern to Southern China. Nuances in drumming and the shape of the lion head distinguish one region from another. The Chinatown Community Young Lions preserves a drumming beat and dance style most akin to the region of China that the founding fathers of New York Chinatown originated from, Toi Sahn, a city state within Guangdong Province. 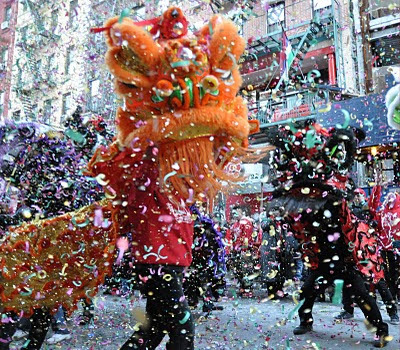 Most New Yorkers don’t know that they are witnessing a living history through the lion dance performed in the streets of Chinatown, which has over a hundred year history in America. The connection to this spiritual dance was no more profound than in the months after 9/11. With smoke still rising from the pile at ground zero and many streets barricading Chinatown, The Chinatown Community Young Lions felt the full weight of their responsibility to lift its residents and businesses out of the paralyzing shock of the unknown. With fewer tourists in the streets that year, and with reports of possible future attacks on New York, Chinatown merchants asked the troupe to bring the lions into their stores and restaurants to bow to the altars often tucked away near the back, reassuring the owners and staff that all will be ok. Away from the tv cameras and tourists, in the peaceful quiet of the store a merchant gently strokes the lion as he guides it to his altar, the performers, crouching on their knees are careful not to misstep, knocking over a teacup or a chair would be a bad omen. As the lions back their way out of the store the drums kick into an “up beat” and the store owners are smiling, confident that somehow they averted whatever disaster the coming year might have brought. As groups have joined the parade over the years, bringing in flourishes and tricks, fluorescent uniforms and bizarre color combinations to their lions and accoutrement, the Young Lions remain steadfast in doing things the same way since the beginning. The trade mark red sweatshirts, a significant color for the holiday, paired with the member’s own black jeans (budgets simply don’t allow for dressing a hundred and fifty kids in custom pants sizes) and the same frayed and tattered banners are a welcome sight to Chinatown merchants. There are only about a half dozen performance troupes in Chinatown that are indigenous to the area despite fifteen parade permits given out every year. In the old days of CCYL’s existence practically every merchant and restaurant owner knew someone in the club, it was that connection that filled the little red envelopes with lucky money in exchange for a blessing from the lions that appeared on the doorstep. Today, with the economic downturn many of the merchants from years ago have gone out of business or retired. The Young Lions are performing to a different audience, some from Viet Nam, Fujian Province, Shanghai or Cambodia but the task remains the same, to chase away evil spirits and offer a blessing, even if the envelopes are a little less full these days. Full of youthful energy and the need for new funding resources The Chinatown Community Young Lions haven’t limited their performances to Manhattan. The troupe now includes Queens on their roster of events both public and private, recently performing in a newly opened mall in Flushing. With renewed vigor and opportunity in the outer boroughs the Young Lions continue to thrive as business owners outside of the area cheer and squeal with glee that an authentic Chinatown lion dance troupe has come to their “distant shore” . As it has been for the last forty years the older members pack as many kids into their mini vans and cars as they can and drive off to their next performance, “is it a wedding, a bah mitz mah, a restaurant opening?” no one seems to care, instead they practice drum beats on the floor boards of the van and argue about who’s under the head first. A troupe director reprimands a kid “you have to put your whole body under the lion tail next time!” a student quips back “do you know how hard it is to stay bent over like that! ?” , a collective “YES!” from the directors says it all. - Jan Lee is a member of the Civic Center Residents Coalition and a director of The Chinatown Community Young Lions.